I'm always happy with a 5% raise. It's more than I'll get from work this year. I don't think they ruled out the REIT initiative permanently, I think they put out it on the back burner for now. I have no idea if that would be good or bad for them either. The dividend raises are amazing in the end, even for my lower runners at 3% - 5%. It's like getting a pay raise every year! 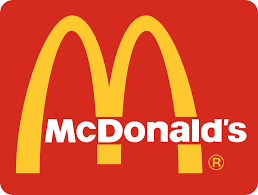 MCD with the 5% raise and 3% yield gives a dividend growth (with dividends reinvested) of around 8%. Not bad, as it's in line with the share price and earnings returns I wish to see in the future. So far all my companies this year on average did around 10-10.5% dividend increase. Not bad at all for not doing any work! The only one left I'm waiting on is BDX, and their dividend is paid in December.